Home»Articles»Two-wheeler Insurance»Do You Know About Zero Depreciation Two-wheeler Insurance? 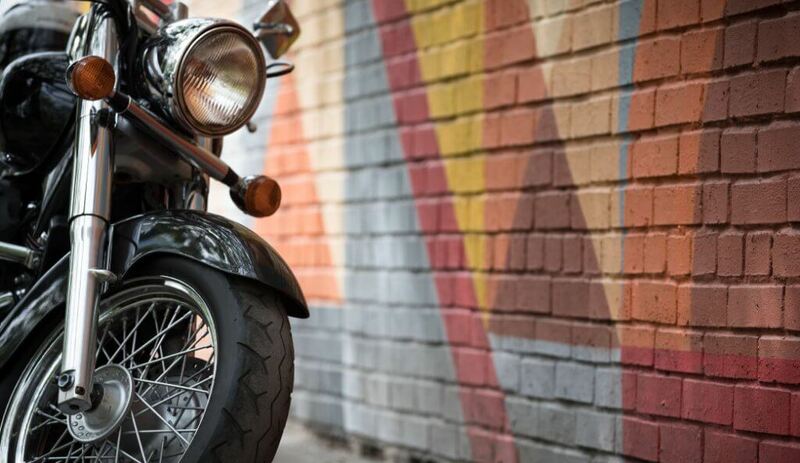 Do You Know About Zero Depreciation Two-wheeler Insurance? You would buy only one type of jeans if you didn’t know there were other options available, right? The same concept applies to two-wheeler insurance as well. Modern insurance is not based on a ‘one size fits all’ concept, rather it is based on a considerably personalized one. Nowadays, it has become extremely easy to purchase two-wheeler insurance online. Before you follow the familiar path of relying on the internet to find you the best two-wheeler insurance policy, read ahead to know more about it and make an informed decision. For better understanding, two-wheeler insurance can be classified as (1.) Third-party Liability Insurance (2.) Comprehensive Two-wheeler Insurance (3.) Comprehensive Two-wheeler Insurance + Add-ons. The Motor Vehicles Act, 1988 has made it mandatory for vehicle owners in India to at least purchase a Third-party Liability insurance policy. This type of insurance policy is designed for the pedestrians and other third parties on the road that might be affected by your vehicle. Comprehensive Two-wheeler Insurance includes the Third-party Liability insurance and insures the vehicle against risks such as accidents, calamities, theft, etc. Along with a Comprehensive Two-wheeler Insurance, you can also choose Add-on covers such as Zero Depreciation, Two Wheeler Roadside Assistance, Pillion Rider Cover, Return-to-invoice etc. What is Zero Depreciation Add-on? A Zero Depreciation Add-on is extra coverage that you can avail along with a Comprehensive Two-wheeler Insurance policy. Depreciation is the reduction in the value of an asset due to wear and tear, it increases with the passage of time. That is why insurance companies reduce this value while settling a claim. However, with a Zero Depreciation Add-on, this depreciation of your two-wheeler won’t be deducted as it is not taken into account while settling the vehicle’s insurance claim. Rubber, nylon, and plastic parts of your two-wheeler are covered under the Zero Depreciation Add-on. It is also extended to include fiberglass components. You must note that this Add-on is generally not available for vehicles that are more than two years old. Also, the maximum claims are limited to two during a policy year. This cover won’t be applicable in case your two-wheeler suffers total damage or is stolen. Also, some insurers provide the benefits associated with a Zero Depreciation cover provided the insured two-wheeler is repaired at a garage which is a part of their network of garages. These exclusions vary from insurer to insurer. Apart from these inclusions and exclusions, other technicalities are mentioned in the policy document. Ensure to read the policy wordings carefully before purchasing your insurance policy. Zero Depreciation Add-on is ideal for expensive two-wheelers. Those purchasing a new bike can also go for it. It is a must for those residing in accident-prone areas. If you had not purchased this Add-on initially, you can still do it during your two-wheeler insurance renewal. This Add-on is valid for one year. Apart from Zero Depreciation in bike insurance, there are other beneficial Add-on covers as well. Browse through their features and make sure to purchase only those Add-on covers that are suitable for your needs.